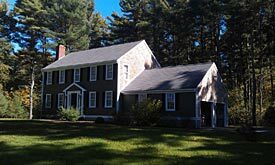 Building exteriors take a beating from our harsh New England weather and require the most time and effort to prepare them properly for painting. Thorough and painstaking surface preparation prior to painting is key to a long lasting paint job. 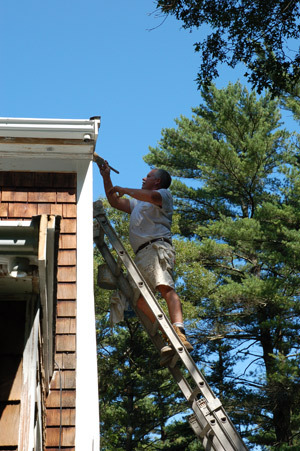 As a Master Painter, I take the time to properly prepare building exteriors and interiors including ceilings, walls, doors, windows, trim, decorative trim and moldings, and woodwork before painting and staining them, to ensure a long lasting, beautiful result. If necessary, I will first powerwash the exterior, to remove any mold, mildew, dirt and algae. I replace all rotten and severely split wood and patch minor wood damage, as necessary. I grind and hand sand all surfaces. I apply caulking to seal every open seam or crack for a water-tight seal, and putty to fill nail holes, dents and cracks in the wood. I replace broken window putty. I use various methods for painting surfaces included brushing, rolling and spraying. I use the most efficient and effective method for each surface. I prime and paint the surfaces using the highest quality, longest lasting products. I use various brands and types of paints, depending on where I'm going to use them. Concrete epoxy finishes are available for your garage or cellar floor. We offer a variety of multi-color patterns and a design consultation to create a special one-of-a-kind look. For an extremely durable and cleanable finish, have us install epoxy. If you are not parking a vehicle on it, try a beautiful stain, which is also available in a myriad of patterns and colors. Prices from $2/sq. ft. for stain and $4/sq. ft. for epoxy. 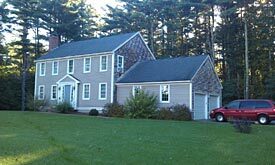 Duxbury exterior before and after. Mildew removed off shingles as well. Before and after on left: Entrance and hallway repainted with Sherwin Williams high reflective white. using Emerald high reflective white satin finish. A Scituate home I worked on had trees planted close to it all the way around. As a result of decades of neglect, the mildew had eaten the paint and some of the shingles off the house. The painted shingles had failed uniformly throughout the rest of the house, purely from the passage of time. I stripped that house with a grinder. I applied new paint, that had a mildewcide added to it, to the exterior. I replaced all the rotted shingles. The end result was not only beautiful, but last time I checked, which was some five years after finishing it, it was still perfect. 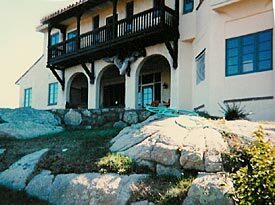 About 8 years ago, I painted a large house on the waterfront in Cohasset. This was a concrete stucco over an existing wooden house. The project required extensive research into what products would hold up the best to ocean conditions. As a result, my experience now includes elastomeric coatings. The benefits of elastomeric paints are that they are very flexibile, waterproof, resistant to dirt and mildew and are extremely durable and long lasting. This paint is resistant to all types of weather conditions. 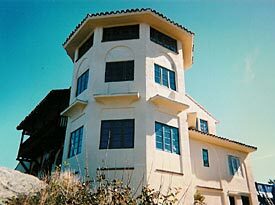 Exterior of Oceanfront Concrete Stucco Home with brown stained trim and tile roof. Done in 2000. About 8 years ago, I painted the interior and exterior of a custom home on the location of the former coast guard boathouse in Scituate. The owner had me sign a guarantee for a three year period. 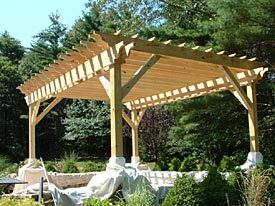 During that time, I resealed a pergola that had a clear applied to it, and that was all. Clears are notoriously short lived; and direct ocean front property gets the most adverse weathering conditions. The tower section needed a touchup, due to how the panels were constructed. 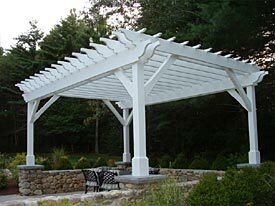 Here are before and after views of a pergola I painted in Duxbury.